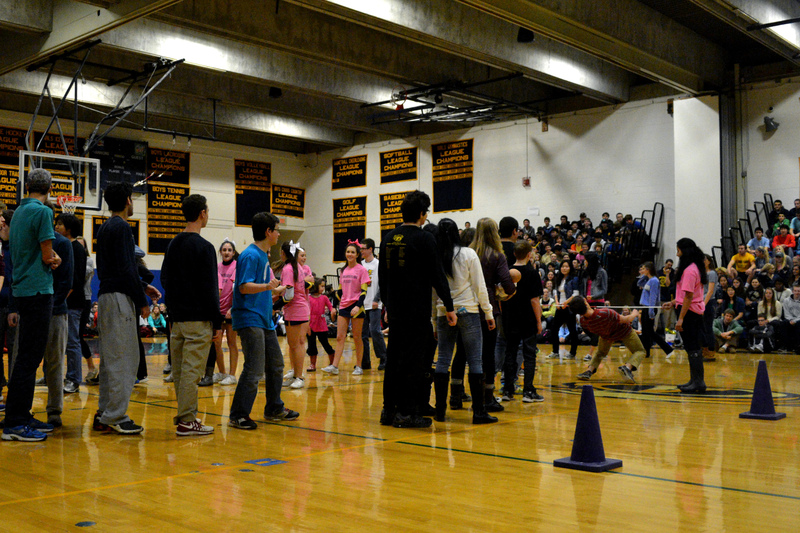 Check out these shots of this year’s pep rally. 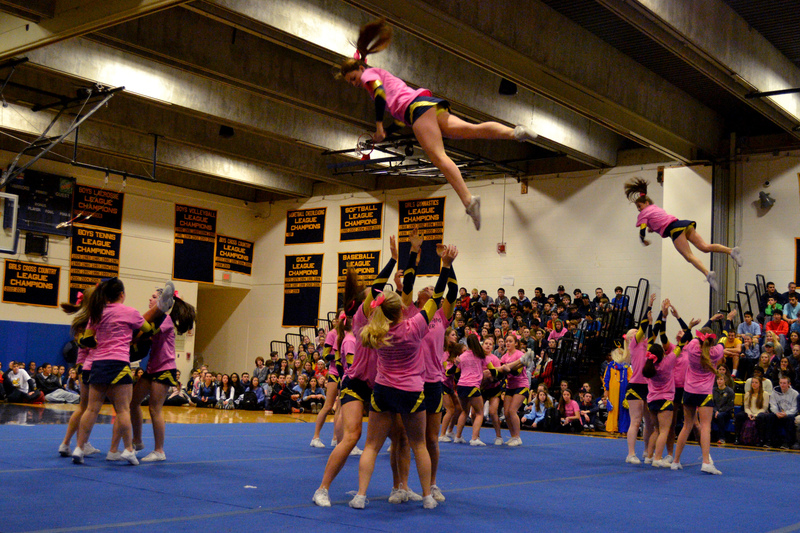 The varsity cheerleaders take to the air to entertain the crowd. 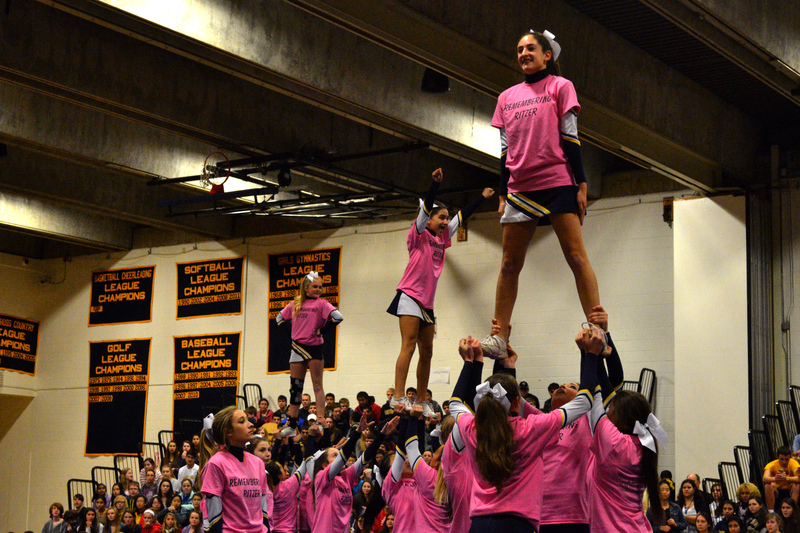 The JV cheer squad was on hand as well. 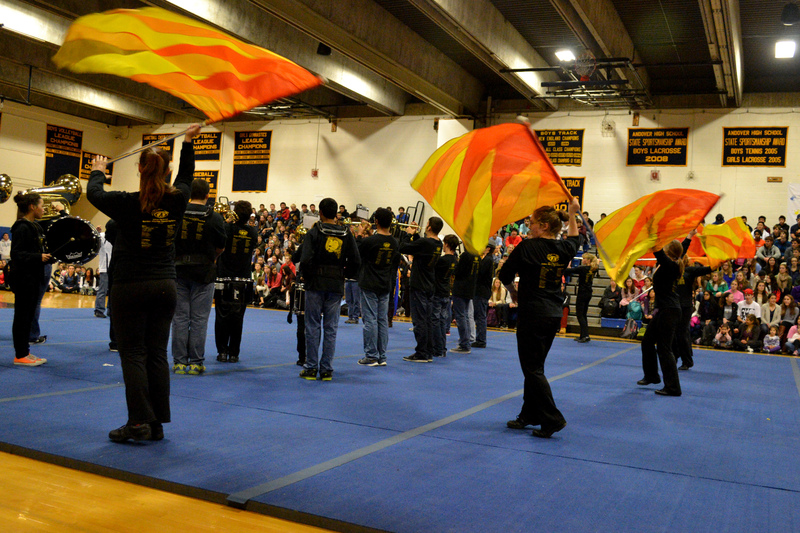 The marching band performs their song during the pep rally, accompanied by the color guard. 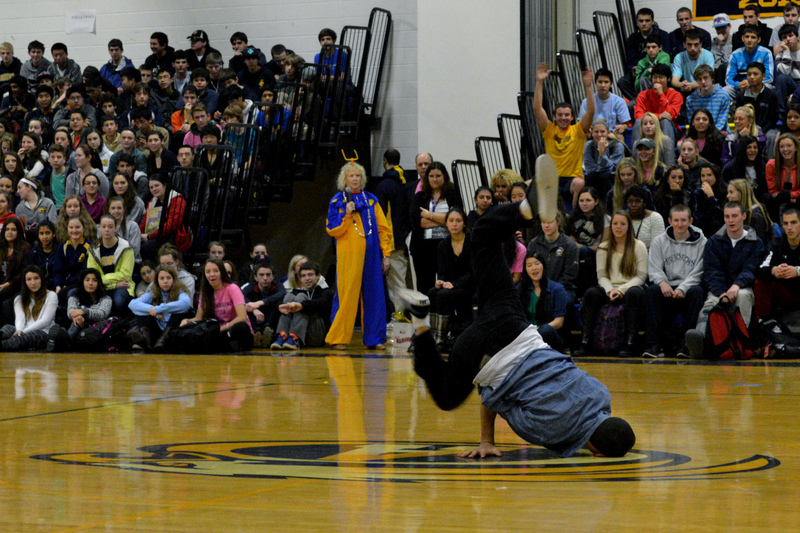 Jeremy Martinez, senior, shows off his moves. 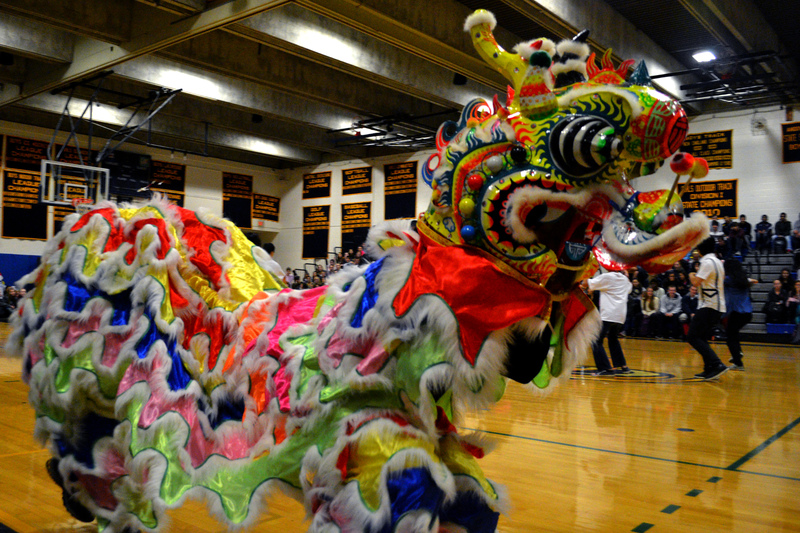 A Chinese dragon (manned by James Lee and Nathan Oh, both seniors) runs around in front of the crowd. 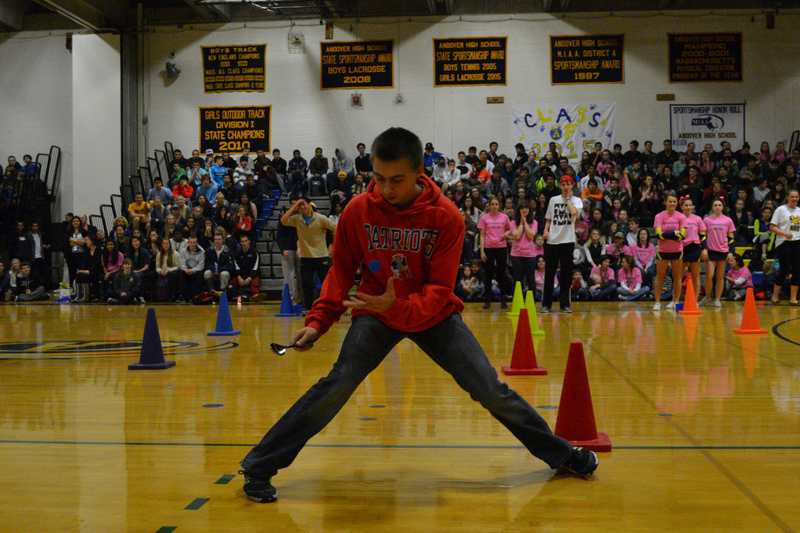 John Oteri, senior, is first in line to limbo. One participant in the spoon race finds himself not up to the task. 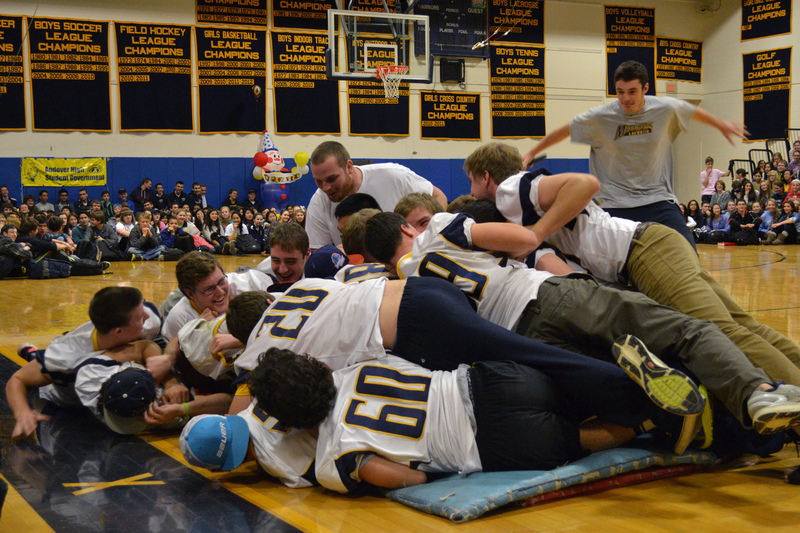 Seniors on the football team pig-piles on senior Kenny Doherty, who wore a Central Catholic t-shirt to get the school pumped for their game against them. 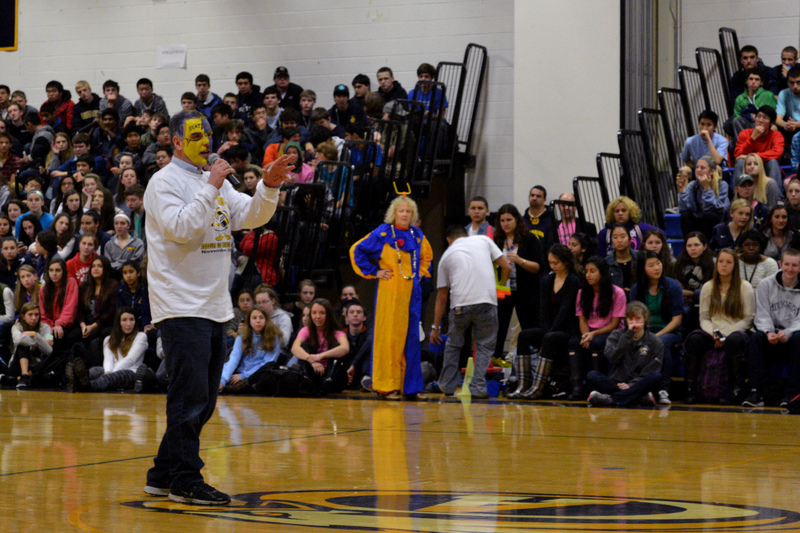 Coach Perry addresses the crowd at the end of the pep rally. Next Next post: Will Students Rock ‘Round the Cafe at the Holly Ball?